I don’t blog about Club Penguin Island, I haven’t for a while. However, something was revealed today which was really upsetting to me, and I did want to cover it on this blog. Earlier today, the Club Penguin Island team announced that their game will be closing. I know that many people, including myself, aren’t the biggest fans of the game, but it’s still saddening to see the official franchise end, and I wanted to let you know in case you’re not aware. You can read the full post here. Whilst I’m really sad about the news, I just want to take a moment to thank the Club Penguin Island team, many whom will have to be moving on from their jobs soon, and I wish them the best in their future journeys. I’d like to thank them for really making the last few years special, and doing their best to carry on the brand. 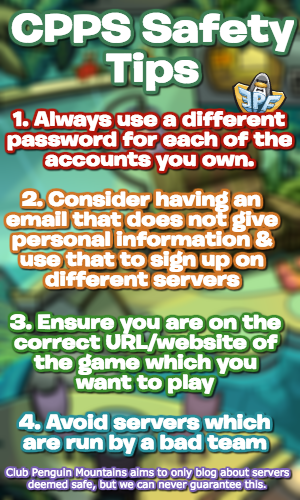 I won’t spend too long in this post as I don’t blog about CPI anymore and I’m aware some of you might not be interested, but I feel this was something worth sharing. 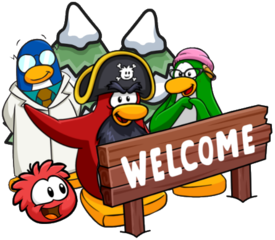 Above all, to the CPI team, thank you, for the memories I had on the game and for the experiences all of CP has given me, and best wishes. It’s so sad that CPI is shutting down. Disney have just run down what were some of the best childhood memories of my life. But at least there are some good CPPS’ out there, (redacted – dangerous website) has a whole list of them. Maybe they’ll do stuff on CPIPS’? I don’t really see a CPIPS launching, but I do please plead you, if you move onto a CPPS, please make sure it’s a safe one. Don’t trust dangerous sites, and whilst I know I can’t control your actions, please really follow the safety tips on the side of this blog. It is still a dangerous website. Will the official Club Penguin be gone? So disney wont make a new CP game? Not gonna lie I’m kinda glad. In my opinion I think the decision on making CPI was too rushed. On the other hand I am sad to see the employees go, especially since I personally know a few people that worked at the original CP that lost their jobs and I know that will be hard for them. I don’t think Disney thought out this whole process very well and I’m sure there are a lot of mixed opinions on this. Thanks Torres for taking the time to inform us! Yeah, Club Penguin Island really wasn’t for everyone, including myself, but it’s really sad that the team will lose their jobs. They’re good people, and there’s probably a lot of mixed opinions. Thank you for reading! Remember on your older posts about CPI where you said that if CPI shuts down it will be the end of the franchise?Well..
i think that if they would have just kept the normal Club Penguin, they would have made more profit, I would rather donate to CPR than to CPI! Yeah, in hindsight, I do wonder if the team regrets focusing on CPI instead of classic CP. I guess we’ll never know though. They probably do. I don’t blame them though. They don’t get to choose. It is a job after all and Disney is responsible for this. That’s also a good point – I wonder to what extent Disney’s influence was like on the CP team, instead of them pitching ideas.